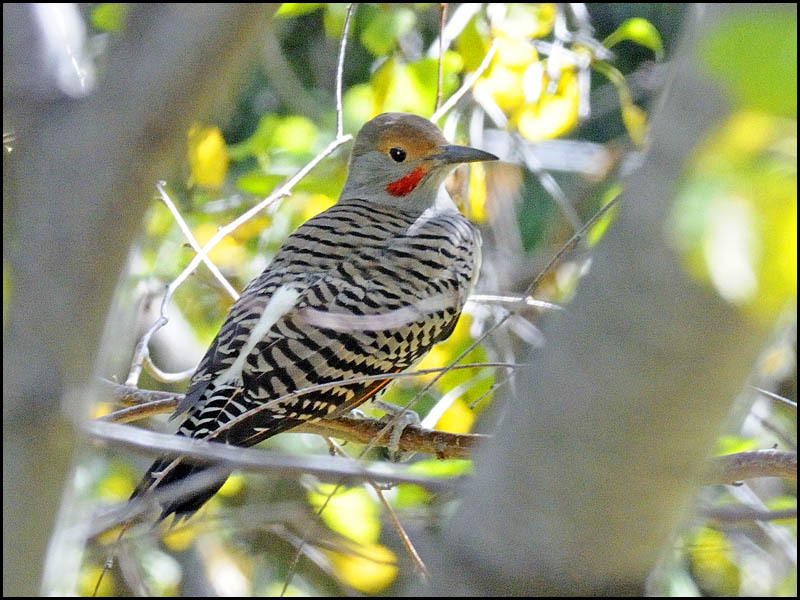 As I walked around the tree, this female Flicker would disappear to the opposite side! 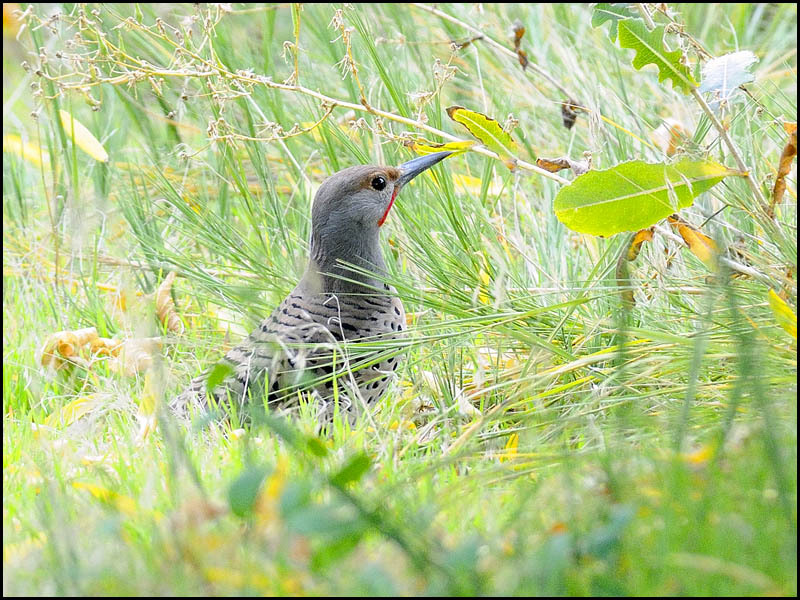 Finally, the Female Flicker provided me with a full length side view! 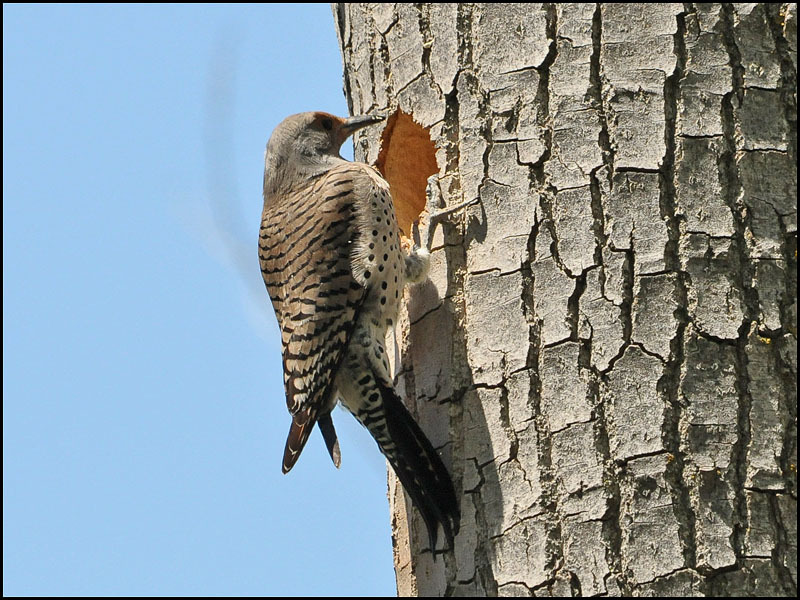 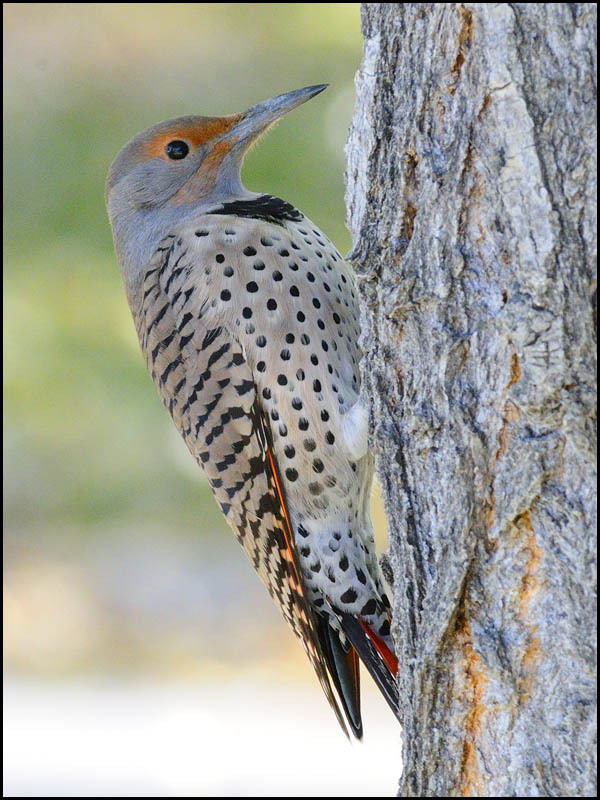 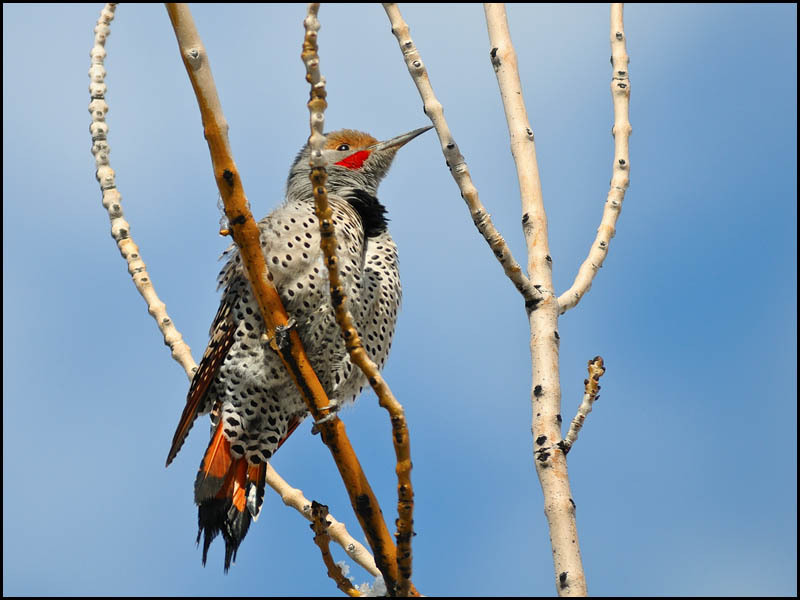 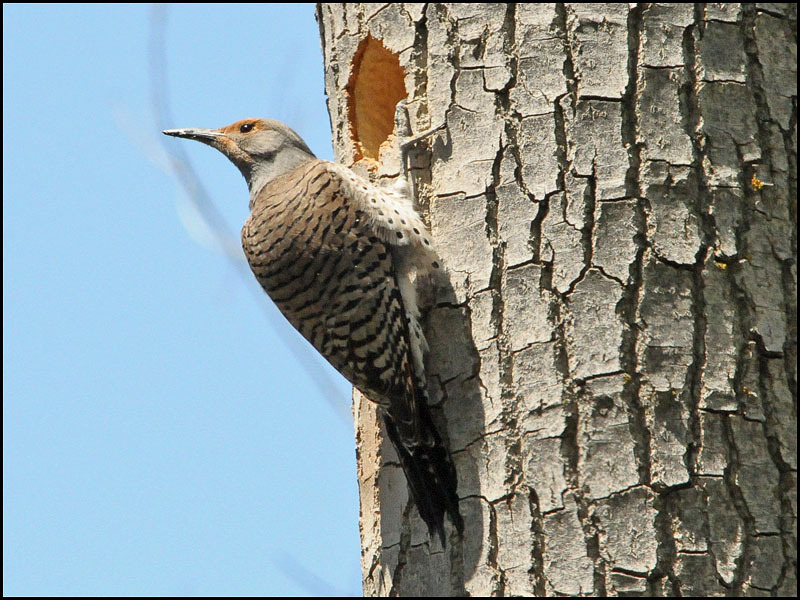 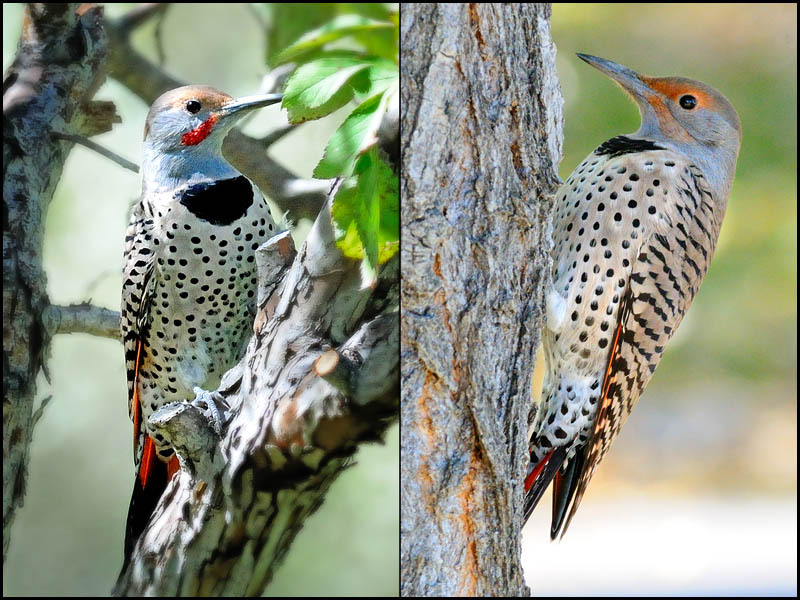 Along the Jordan River in Murray, a Female Northern Flicker excavates a nest-hole! 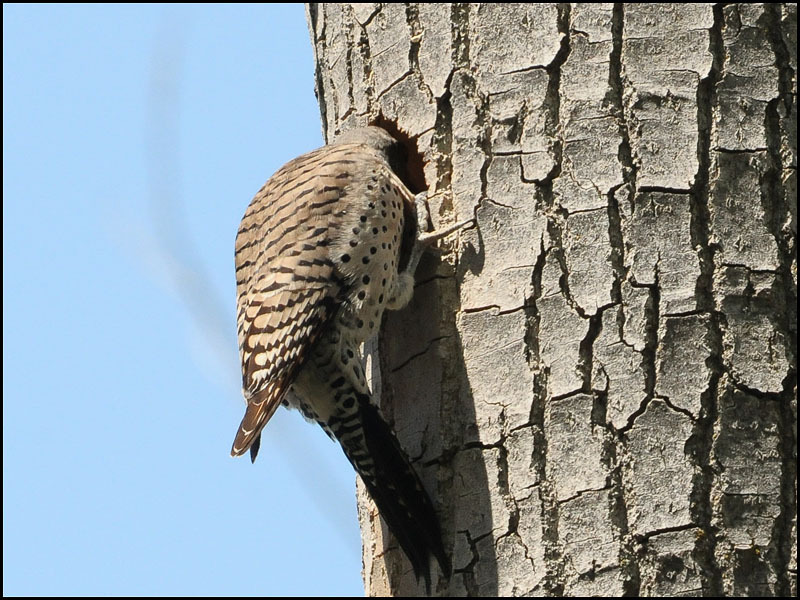 Her head is completely inside the cavity, tearing out the wood. 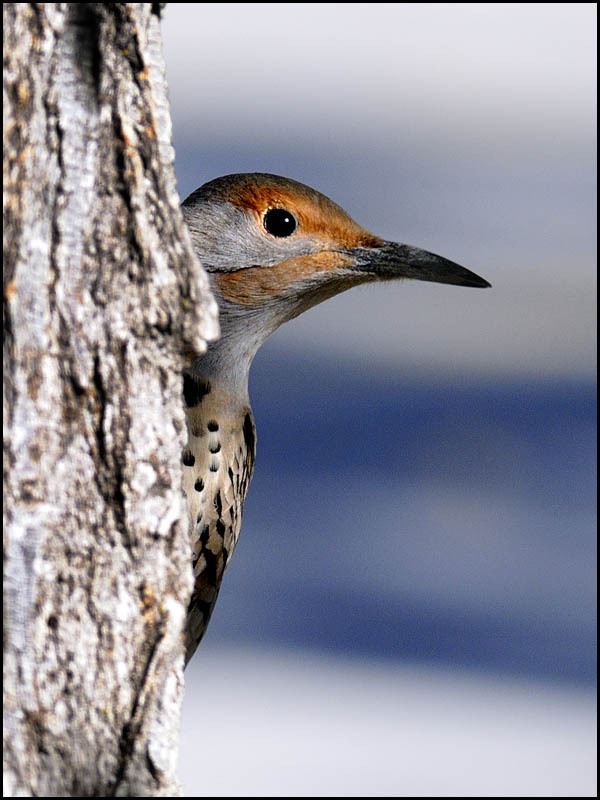 At a later date, several baby birds would crowd the entrance waiting for food!